This weekend wasn't too eventful--my next three weeks are jam-packed with both social events as well as schoolwork, so I intentionally left this weekend free to relax and prepare for the coming weeks. I did, however, do a little shopping and have a field trip to Montpelier (James Madison's home) on Saturday. When shopping, I found a great Vineyard Vines skirt (which will be perfect for teaching) on sale at Belk and two tops at J.Crew. I woke up to a dreary day on Saturday, but decided to make the most of my field trip despite the weather. The first stop of our field trip was Gilmore Cabin. The Gilmore Cabin was built by George Gilmore at Montpelier after emancipation (circa 1870). His land was leased from James Madison's nephew. In 1901, the Gilmores purchased the 16 acres of land and members of the Gilmore family lived on the farm until the early 1930s. It is the first restored freedman's home in the United States. Our next stop was the Montpelier Train Depot. This train depot was built in 1910 by the duPont family who owned Montpelier from 1901-1983. The train depot was built during segregation and is an example of what life was like during the era of Jim Crow laws. I have learned about segregation and Jim Crow laws since elementary school and have always known how inherently wrong segregation was, however, seeing up close what it was like really had an effect on me. From the outside it appears the "White" and "Colored" sides of the depot are equal in size, however the "Colored" side is only about a quarter of the size of the "White" side. Additionally, the depot had a post office, and whites could retrieve their mail inside, while blacks had to get it from outside. Our last stop of the day was Montpelier estate. It was BEAUTIFUL! 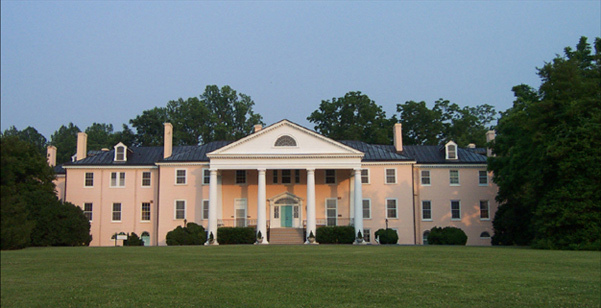 When the duPonts owned Montpelier they changed it from the traditional brick to pink stucco. 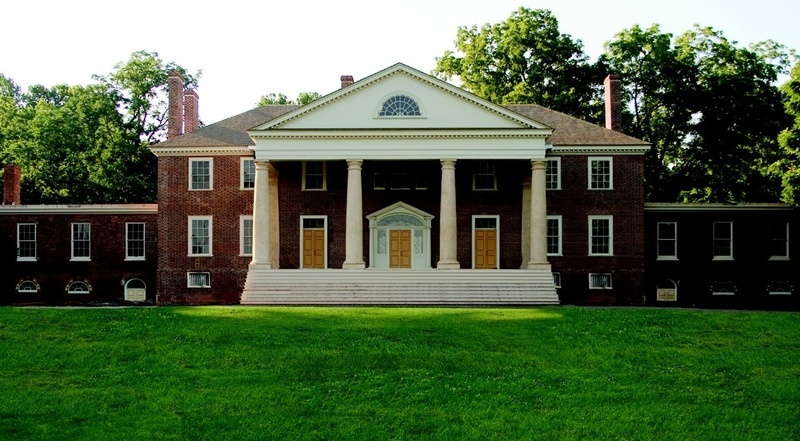 On Constitution Day (September 17) in 2008, after a five year, $24 million restoration project, Montpelier in its original state was revealed. Pink Montpelier..I must say, I am a big fan of that blue door! Our tour of the house was very interesting. My favorite tidbit from the day was learning about how influential Dolley Madison was. Our tour guide shared a story of how she was greatly responsible for her husband's re-election, which I will now share with you. During Madison's term he was attacked by the press and became unpopular. Dolley decided to take matters into her own hands: Being quite the socialite, she began holding tea parties at the White House. It was a huge honor to be invited to these tea parties and women were just dying for an invite! Those invited would bring their husbands along (who then would get the chance to mingle with the president). During this time they would see that Madison was not the horrible man the papers portrayed him to be and ultimately he was re-elected. Dolley was so loved that she eventually became the first woman to be awarded an honorary seat in Congress. Statue of Dolley and James on the back lawn. Before heading out we toured the Madison Gardens and stopped by the gift shop where I found the cutest blue and white bunny for just $12.95! Even on a dreary day, the flowers were lovely! The bunny is perfect for Easter! I also really wanted this book in the giftshop, but figured I could get it cheaper on Amazon. Do you have any favorite historic sites? What did you do this weekend? I bought that VV skirt last week at the VV outlet we have here. I LOVE it, I've already worn it like 3 times. It goes perfect with a dressy shirt or a jcrew tee for a casual look. Looks like a wonderful weekend! That estate house is gorgeous ~ I love the blue door too! Virginia is such a beautiful state..so much history. I love the blue door too...sooo stately and elegant. I have the same little bunny - he is currently hanging out in our guest room! What a great weekend! That house is so fabulous! Love! Looks like you had a wonderful weekend. I have that bunny.... everyone makes fun of me for it because they find it ugly. They'd probably die (literally) if they knew how much it cost lol. Fun weekend! In DC I love Dumbarton Oaks mainly for the garden. My two favorites abroad are Wallace Collection in London and Peggy Guggenheim's old Pallazo turned museum in Venice. 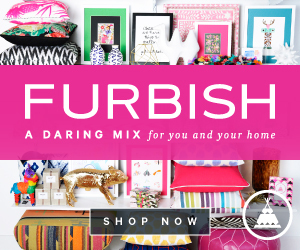 Love the Herrend bunny! Looks like fun. Thanks for stopping by last week. Fun to see your comment. Awesome weekend! I went there last year with my History professor to volunteer with the archaeologists. Such a pretty place! 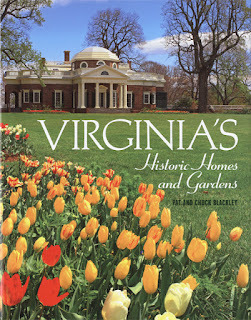 I love all of the historic sites in Virginia! My dad grew up in Charlottesville, so we have spent lots of time in VA and have hit up most of the historic sites. My fave would have to be Monticello though, love! You can never go wrong with a classic VV skirt! Super cute! What a great post and a fun weekend! I've never been to Montpelier, but I'd love to go - thanks for sharing your trip and all your great pictures! P.S. Love that VV skirt! I just bought that blue and gray top when I was home last weekend! Sounds like a great weekend...I just love the story about Dolley Madison! Now that is a great woman! Nothing like a relaxing weekend to get you ready for the home stretch in school! Good Luck! Hi there! 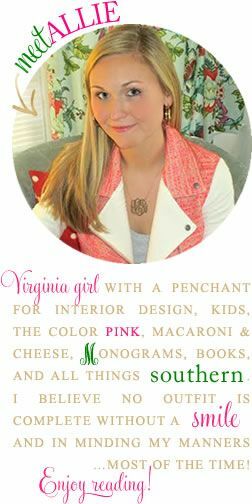 I am new to your blog and just wanted to stop by and say hello :) That blue and white J Crew top is adorable! Virginia is so beautiful! You are so lucky to be close to so many cool historical sites! btw I love your metallic cross-body bag! I love that VV skirt! I love going to Montpelier--it is so pretty! What a great tour! I think Dolly Madison is one of our most interesting First Ladies. Did you know she saved massive artwork right before the White House was burned down?! This weekend we went to look at a King Charles Cavalier puppy....I'm hoping I get to bring one home on Thursday! Have that blue/white bunny....and what's Easter without the seasonally colored m&ms!!! Those places look so wonderful! Love visiting historical houses. So much history!! One of the reasons I love Virginia. I have been to Montpelier and Thomas Jefferson's home, they're so interesting and pretty!! I think that skirt will be great for teaching...I am in crunch time right now trying to round up good outfits for summer institute and actual teaching ahh! What a fun and education weekend you had! 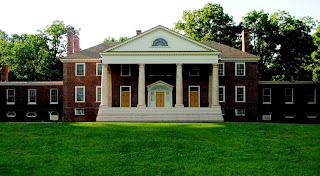 I would love to go to the Montpelier estate, these old wealthy families fascinate me. Have you been to the Biltmore yet? I've been eyeing that jcrew top FOREVER! I love it! Sound like you had a fun weekend! We went to Montpelier when we were in VA last year for a wine tasting trip, and I loved it. I still love Monticello more, but Montpelier is gorgeous, too. I have already forgotten half the stuff I learned (as I always do!) but it was a fun field trip. I also love Ash Lawn of course! Louisiana has a ton of cool plantations like Oak Alley - which are another perspective on a similar time in history. Love this post! So vA breeze of you ;) and I love that bunny! historical sites are cool and can be so fun/ educational! oh, and girl, i'm doing a photo share on my blog... and i hope you'll think about joining in. Great pictures!! That was a good weekend!! How neat is Gilmore Cabin? I love trips like that!! I thought of you this weekend...I bought my 1st floppy hat! It is khaki colored with leopard spots. I got it for my honeymoon in October! Looks like you had a great weekend! I've never been to Montpelier but it's definitely on my list now. Great story today. Neat about Dolley!